This article is about the minimum temperature possible. For other uses, see Absolute Zero (disambiguation). Zero kelvin (−273.15 °C) is defined as absolute zero. Absolute zero is the lowest limit of the thermodynamic temperature scale, a state at which the enthalpy and entropy of a cooled ideal gas reach their minimum value, taken as 0. The fundamental particles of nature have minimum vibrational motion, retaining only quantum mechanical, zero-point energy-induced particle motion. The theoretical temperature is determined by extrapolating the ideal gas law; by international agreement, absolute zero is taken as −273.15° on the Celsius scale (International System of Units), which equals −459.67° on the Fahrenheit scale (United States customary units or Imperial units). The corresponding Kelvin and Rankine temperature scales set their zero points at absolute zero by definition. It is commonly thought of as the lowest temperature possible, but it is not the lowest enthalpy state possible, because all real substances begin to depart from the ideal gas when cooled as they approach the change of state to liquid, and then to solid; and the sum of the enthalpy of vaporization (gas to liquid) and enthalpy of fusion (liquid to solid) exceeds the ideal gas's change in enthalpy to absolute zero. In the quantum-mechanical description, matter (solid) at absolute zero is in its ground state, the point of lowest internal energy. The laws of thermodynamics indicate that absolute zero cannot be reached using only thermodynamic means, because the temperature of the substance being cooled approaches the temperature of the cooling agent asymptotically, and a system at absolute zero still possesses quantum mechanical zero-point energy, the energy of its ground state at absolute zero. The kinetic energy of the ground state cannot be removed. Scientists and technologists routinely achieve temperatures close to absolute zero, where matter exhibits quantum effects such as superconductivity and superfluidity. The implication is that the entropy of a perfect crystal approaches a constant value. A perfect crystal is one in which the internal lattice structure extends uninterrupted in all directions. The perfect order can be represented by translational symmetry along three (not usually orthogonal) axes. Every lattice element of the structure is in its proper place, whether it is a single atom or a molecular grouping. For substances that exist in two (or more) stable crystalline forms, such as diamond and graphite for carbon, there is a kind of chemical degeneracy. The question remains whether both can have zero entropy at T = 0 even though each is perfectly ordered. Perfect crystals never occur in practice; imperfections, and even entire amorphous material inclusions, can and do get "frozen in" at low temperatures, so transitions to more stable states do not occur. Using the Debye model, the specific heat and entropy of a pure crystal are proportional to T 3, while the enthalpy and chemical potential are proportional to T 4. (Guggenheim, p. 111) These quantities drop toward their T = 0 limiting values and approach with zero slopes. For the specific heats at least, the limiting value itself is definitely zero, as borne out by experiments to below 10 K. Even the less detailed Einstein model shows this curious drop in specific heats. In fact, all specific heats vanish at absolute zero, not just those of crystals. Likewise for the coefficient of thermal expansion. Maxwell's relations show that various other quantities also vanish. These phenomena were unanticipated. thus, as T decreases, ΔG and ΔH approach each other (so long as ΔS is bounded). Experimentally, it is found that all spontaneous processes (including chemical reactions) result in a decrease in G as they proceed toward equilibrium. If ΔS and/or T are small, the condition ΔG < 0 may imply that ΔH < 0, which would indicate an exothermic reaction. However, this is not required; endothermic reactions can proceed spontaneously if the TΔS term is large enough. One model that estimates the properties of an electron gas at absolute zero in metals is the Fermi gas. The electrons, being Fermions, must be in different quantum states, which leads the electrons to get very high typical velocities, even at absolute zero. The maximum energy that electrons can have at absolute zero is called the Fermi energy. The Fermi temperature is defined as this maximum energy divided by Boltzmann's constant, and is of the order of 80,000 K for typical electron densities found in metals. For temperatures significantly below the Fermi temperature, the electrons behave in almost the same way as at absolute zero. This explains the failure of the classical equipartition theorem for metals that eluded classical physicists in the late 19th century. Velocity-distribution data of a gas of rubidium atoms at a temperature within a few billionths of a degree above absolute zero. Left: just before the appearance of a Bose–Einstein condensate. Center: just after the appearance of the condensate. Right: after further evaporation, leaving a sample of nearly pure condensate. A Bose–Einstein condensate (BEC) is a state of matter of a dilute gas of weakly interacting bosons confined in an external potential and cooled to temperatures very near absolute zero. Under such conditions, a large fraction of the bosons occupy the lowest quantum state of the external potential, at which point quantum effects become apparent on a macroscopic scale. This state of matter was first predicted by Satyendra Nath Bose and Albert Einstein in 1924–25. Bose first sent a paper to Einstein on the quantum statistics of light quanta (now called photons). Einstein was impressed, translated the paper from English to German and submitted it for Bose to the Zeitschrift für Physik, which published it. Einstein then extended Bose's ideas to material particles (or matter) in two other papers. Seventy years later, in 1995, the first gaseous condensate was produced by Eric Cornell and Carl Wieman at the University of Colorado at Boulder NIST-JILA lab, using a gas of rubidium atoms cooled to 170 nanokelvins (nK) (6993170000000000000♠1.7×10−7 K). A record cold temperature of 450 ±80 picokelvins (pK) (6990450000000000000♠4.5×10−10 K) in a Bose–Einstein condensate (BEC) of sodium atoms was achieved in 2003 by researchers at MIT. The associated black-body (peak emittance) wavelength of 6,400 kilometers is roughly the radius of Earth. Absolute, or thermodynamic, temperature is conventionally measured in kelvins (Celsius-scaled increments) and in the Rankine scale (Fahrenheit-scaled increments) with increasing rarity. Absolute temperature measurement is uniquely determined by a multiplicative constant which specifies the size of the degree, so the ratios of two absolute temperatures, T2/T1, are the same in all scales. The most transparent definition of this standard comes from the Maxwell–Boltzmann distribution. It can also be found in Fermi–Dirac statistics (for particles of half-integer spin) and Bose–Einstein statistics (for particles of integer spin). All of these define the relative numbers of particles in a system as decreasing exponential functions of energy (at the particle level) over kT, with k representing the Boltzmann constant and T representing the temperature observed at the macroscopic level. Temperatures that are expressed as negative numbers on the familiar Celsius or Fahrenheit scales are simply colder than the zero points of those scales. Certain systems can achieve truly negative temperatures; that is, their thermodynamic temperature (expressed in kelvins) can be of a negative quantity. A system with a truly negative temperature is not colder than absolute zero. Rather, a system with a negative temperature is hotter than any system with a positive temperature, in the sense that if a negative-temperature system and a positive-temperature system come in contact, heat flows from the negative to the positive-temperature system. Most familiar systems cannot achieve negative temperatures because adding energy always increases their entropy. However, some systems have a maximum amount of energy that they can hold, and as they approach that maximum energy their entropy actually begins to decrease. Because temperature is defined by the relationship between energy and entropy, such a system's temperature becomes negative, even though energy is being added. As a result, the Boltzmann factor for states of systems at negative temperature increases rather than decreases with increasing state energy. Therefore, no complete system, i.e. including the electromagnetic modes, can have negative temperatures, since there is no highest energy state, so that the sum of the probabilities of the states would diverge for negative temperatures. However, for quasi-equilibrium systems (e.g. spins out of equilibrium with the electromagnetic field) this argument does not apply, and negative effective temperatures are attainable. On 3 January 2013, physicists announced that they had created a quantum gas made up of potassium atoms with a negative temperature in motional degrees of freedom for the first time. 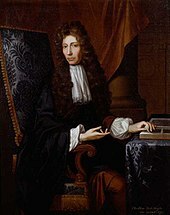 Robert Boyle pioneered the idea of an absolute zero. One of the first to discuss the possibility of an absolute minimal temperature was Robert Boyle. His 1665 New Experiments and Observations touching Cold, articulated the dispute known as the primum frigidum. The concept was well known among naturalists of the time. Some contended an absolute minimum temperature occurred within earth (as one of the four classical elements), others within water, others air, and some more recently within nitre. But all of them seemed to agree that, "There is some body or other that is of its own nature supremely cold and by participation of which all other bodies obtain that quality." The question whether there is a limit to the degree of coldness possible, and, if so, where the zero must be placed, was first addressed by the French physicist Guillaume Amontons in 1702, in connection with his improvements in the air-thermometer. His instrument indicated temperatures by the height at which a certain mass of air sustained a column of mercury—the volume, or "spring" of the air varying with temperature. Amontons therefore argued that the zero of his thermometer would be that temperature at which the spring of the air was reduced to nothing. He used a scale that marked the boiling-point of water at +73 and the melting-point of ice at +​51 1⁄2, so that the zero was equivalent to about −240 on the Celsius scale. Amontons held that the absolute zero cannot be reached, so never attempted to compute it explicitly. The value of −240 °C, or "431 divisions [in Fahrenheit's thermometer] below the cold of freezing water" was published by George Martine in 1740. This close approximation to the modern value of −273.15 °C for the zero of the air-thermometer was further improved upon in 1779 by Johann Heinrich Lambert, who observed that −270 °C (−454.00 °F; 3.15 K) might be regarded as absolute cold. Values of this order for the absolute zero were not, however, universally accepted about this period. Pierre-Simon Laplace and Antoine Lavoisier, in their 1780 treatise on heat, arrived at values ranging from 1,500 to 3,000 below the freezing-point of water, and thought that in any case it must be at least 600 below. John Dalton in his Chemical Philosophy gave ten calculations of this value, and finally adopted −3000 °C as the natural zero of temperature. After James Prescott Joule had determined the mechanical equivalent of heat, Lord Kelvin approached the question from an entirely different point of view, and in 1848 devised a scale of absolute temperature that was independent of the properties of any particular substance and was based on Carnot's theory of the Motive Power of Heat and data published by Henri Victor Regnault. 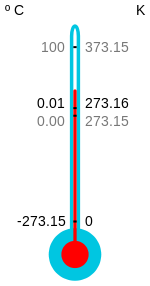 It followed from the principles on which this scale was constructed that its zero was placed at −273 °C, at almost precisely the same point as the zero of the air-thermometer. This value was not immediately accepted; values ranging from −271.1 °C (−455.98 °F) to −274.5 °C (−462.10 °F), derived from laboratory measurements and observations of astronomical refraction, remained in use in the early 20th century. With a better theoretical understanding of absolute zero, scientists were eager to reach this temperature in the lab. By 1845, Michael Faraday had managed to liquefy most gases then known to exist, and reached a new record for lowest temperatures by reaching −130 °C (−202 °F; 143 K). Faraday believed that certain gases, such as oxygen, nitrogen, and hydrogen, were permanent gases and could not be liquefied. Decades later, in 1873 Dutch theoretical scientist Johannes Diderik van der Waals demonstrated that these gases could be liquefied, but only under conditions of very high pressure and very low temperatures. In 1877, Louis Paul Cailletet in France and Raoul Pictet in Switzerland succeeded in producing the first droplets of liquid air −195 °C (−319.0 °F; 78.1 K). This was followed in 1883 by the production of liquid oxygen −218 °C (−360.4 °F; 55.1 K) by the Polish professors Zygmunt Wróblewski and Karol Olszewski. Scottish chemist and physicist James Dewar and the Dutch physicist Heike Kamerlingh Onnes took on the challenge to liquefy the remaining gases hydrogen and helium. In 1898, after 20 years of effort, Dewar was first to liquefy hydrogen, reaching a new low temperature record of −252 °C (−421.6 °F; 21.1 K). However Onnes, his rival, was the first to liquefy helium, in 1908, using several precooling stages and the Hampson–Linde cycle. He lowered the temperature to the boiling point of helium −269 °C (−452.20 °F; 4.15 K). By reducing the pressure of the liquid helium he achieved an even lower temperature, near 1.5 K. These were the coldest temperatures achieved on earth at the time and his achievement earned him the Nobel Prize in 1913. Onnes would continue to study the properties of materials at temperatures near absolute zero, describing superconductivity and superfluids for the first time. The average temperature of the universe today is approximately 2.73 kelvins (−270.42 °C; −454.76 °F), based on measurements of cosmic microwave background radiation. Absolute zero cannot be achieved, although it is possible to reach temperatures close to it through the use of cryocoolers, dilution refrigerators, and nuclear adiabatic demagnetization. The use of laser cooling has produced temperatures less than a billionth of a kelvin. At very low temperatures in the vicinity of absolute zero, matter exhibits many unusual properties, including superconductivity, superfluidity, and Bose–Einstein condensation. To study such phenomena, scientists have worked to obtain even lower temperatures. The current world record was set in 1999 at 100 picokelvins (pK), or 0.000 000 000 1 of a kelvin, by cooling the nuclear spins in a piece of rhodium metal. In November 2000, nuclear spin temperatures below 100 pK were reported for an experiment at the Helsinki University of Technology's Low Temperature Lab in Espoo, Finland. However, this was the temperature of one particular degree of freedom – a quantum property called nuclear spin – not the overall average thermodynamic temperature for all possible degrees in freedom. In February 2003, the Boomerang Nebula was observed to have been releasing gases at a speed of 500,000 km/h (over 300,000 mph) for the last 1,500 years. This has cooled it down to approximately 1 K, as deduced by astronomical observation, which is the lowest natural temperature ever recorded. In May 2005, the European Space Agency proposed research in space to achieve femto-kelvin temperatures. In May 2006, the Institute of Quantum Optics at the University of Hannover gave details of technologies and benefits of femto-kelvin research in space. In January 2013, physicist Ulrich Schneider of the University of Munich in Germany reported to have achieved temperatures formally below absolute zero ("negative temperature") in gases. The gas is artificially forced out of equilibrium into a high potential energy state, which is however cold. When it then emits radiation it approaches the equilibrium, and can continue emitting despite reaching formal absolute zero; thus, the temperature is formally negative. In September 2014, scientists in the CUORE collaboration at the Laboratori Nazionali del Gran Sasso in Italy cooled a copper vessel with a volume of one cubic meter to 0.006 kelvins (−273.144 °C; −459.659 °F) for 15 days, setting a record for the lowest temperature in the known universe over such a large contiguous volume. In June 2015, experimental physicists at Massachusetts Institute of Technology (MIT) cooled molecules in a gas of sodium potassium to a temperature of 500 nanokelvins, and it is expected to exhibit an exotic state of matter by cooling these molecules a bit further. ^ a b c "Unit of thermodynamic temperature (kelvin)". SI Brochure, 8th edition. Bureau International des Poids et Mesures. 13 March 2010 . Section 2.1.1.5. Archived from the original on 7 October 2014. Retrieved 20 June 2017. Note: The triple point of water is 0.01 °C, not 0 °C; thus 0 K is −273.15 °C, not −273.16 °C. ^ Arora, C. P. (2001). Thermodynamics. Tata McGraw-Hill. Table 2.4 page 43. ISBN 978-0-07-462014-4. ^ Zielinski, Sarah (1 January 2008). "Absolute Zero". Smithsonian Institution. Retrieved 26 January 2012. ^ Donley, Elizabeth A.; Claussen, Neil R.; Cornish, Simon L.; Roberts, Jacob L.; Cornell, Eric A.; Wieman, Carl E. (2001). "Dynamics of collapsing and exploding Bose–Einstein condensates". Nature. 412 (6844): 295–299. arXiv:cond-mat/0105019. Bibcode:2001Natur.412..295D. doi:10.1038/35085500. PMID 11460153. ^ "New State of Matter Seen Near Absolute Zero". NIST. Archived from the original on 1 June 2010. ^ Levi, Barbara Goss (2001). "Cornell, Ketterle, and Wieman Share Nobel Prize for Bose–Einstein Condensates". Search & Discovery. Physics Today online. Archived from the original on 24 October 2007. Retrieved 26 January 2008. ^ Leanhardt, A. E.; Pasquini, TA; Saba, M; Schirotzek, A; Shin, Y; Kielpinski, D; Pritchard, DE; Ketterle, W (2003). "Cooling Bose–Einstein Condensates Below 500 Picokelvin" (PDF). Science. 301 (5639): 1513–1515. Bibcode:2003Sci...301.1513L. doi:10.1126/science.1088827. PMID 12970559. ^ a b Chase, Scott. "Below Absolute Zero -What Does Negative Temperature Mean?". The Physics and Relativity FAQ. Retrieved 2 July 2010. ^ Merali, Zeeya (2013). "Quantum gas goes below absolute zero". Nature. doi:10.1038/nature.2013.12146. ^ Stanford, John Frederick (1892). The Stanford Dictionary of Anglicised Words and Phrases. ^ Boyle, Robert (1665). New Experiments and Observations touching Cold. Chisholm, Hugh, ed. (1911). "Cold" . Encyclopædia Britannica (11th ed.). Cambridge University Press. ^ Talbot, G.R. ; Pacey, A.C. (1972). "Antecedents of thermodynamics in the work of Guillaume Amontons". Centaurus. 16 (1): 20–40. doi:10.1111/j.1600-0498.1972.tb00163.x. ^ Lambert, Johann Heinrich (1779). Pyrometrie. Berlin. OCLC 165756016. ^ Thomson, William (1848). "On an Absolute Thermometric Scale founded on Carnot's Theory of the Motive Power of Heat, and calculated from Regnault's observations". Proceedings of the Cambridge Philosophical Society. 1: 66–71. ^ "ABSOLUTE ZERO - PBS NOVA DOCUMENTARY (full length)". YouTube. Retrieved 23 November 2016. ^ "The Nobel Prize in Physics 1913: Heike Kamerlingh Onnes". Nobel Media AB. Retrieved 24 April 2012. ^ Kruszelnicki, Karl S. (25 September 2003). "Coldest Place in the Universe 1". Australian Broadcasting Corporation. Retrieved 24 September 2012. ^ "What's the temperature of space?". The Straight Dope. 3 August 2004. Retrieved 24 September 2012. ^ Catchpole, Heather (4 September 2008). "Cosmos Online – Verging on absolute zero". Archived from the original on 22 November 2008. ^ "World record in low temperatures". Archived from the original on 18 June 2009. Retrieved 5 May 2009. ^ Knuuttila, Tauno (2000). Nuclear Magnetism and Superconductivity in Rhodium. Espoo, Finland: Helsinki University of Technology. ISBN 978-951-22-5208-4. Archived from the original on 28 April 2001. Retrieved 11 February 2008. ^ "Low Temperature World Record" (Press release). Low Temperature Laboratory, Teknillinen Korkeakoulu. 8 December 2000. Archived from the original on 18 February 2008. Retrieved 11 February 2008. ^ Sahai, Raghvendra; Nyman, Lars-Åke (1997). 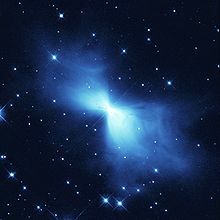 "The Boomerang Nebula: The Coldest Region of the Universe?". The Astrophysical Journal. 487 (2): L155–L159. Bibcode:1997ApJ...487L.155S. doi:10.1086/310897. hdl:2014/22450. ^ "Scientific Perspectives for ESA's Future Programme in Life and Physical sciences in Space" (PDF). esf.org. ^ "Atomic Quantum Sensors in Space" (PDF). University of California, Los Angeles. ^ "Atoms Reach Record Temperature, Colder than Absolute Zero". livescience.com. ^ "CUORE: The Coldest Heart in the Known Universe". INFN Press Release. Retrieved 21 October 2014. ^ "MIT team creates ultracold molecules". Massachusetts Institute of Technology, Massachusetts, Cambridge. ^ "Coolest science ever headed to the space station". Science | AAAS. 5 September 2017. Retrieved 24 September 2017. ^ "Cold Atom Laboratory Mission". Jet Propulsion Laboratory. NASA. 2017. Retrieved 22 December 2016. ^ "Cold Atom Laboratory Creates Atomic Dance". NASA News. 26 September 2014. Retrieved 21 May 2015. Herbert B. Callen (1960). "Chapter 10". Thermodynamics. New York: John Wiley & Sons. ISBN 978-0-471-13035-2. OCLC 535083. Herbert B. Callen (1985). Thermodynamics and an Introduction to Thermostatistics (Second ed.). New York: John Wiley & Sons. ISBN 978-0-471-86256-7. E.A. Guggenheim (1967). Thermodynamics: An Advanced Treatment for Chemists and Physicists (Fifth ed.). Amsterdam: North Holland Publishing. ISBN 978-0-444-86951-7. OCLC 324553. George Stanley Rushbrooke (1949). Introduction to Statistical Mechanics. Oxford: Clarendon Press. OCLC 531928.